Charles Raymond Jarratt was born in Edmonton, Middlesex in 1921. He was the son of Charles William and Amelia May Jarratt (nee Spicer), of Goring-by- Sea, Sussex, and educated at Lord Williams’s School Thame from 1930 to 1939. Charles William was a retired jeweller who was living with his family at Wynchmore, Hill Road, Watlington in 1939. 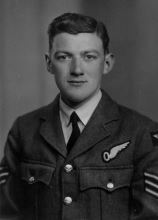 Charles Raymond joined the Royal Air Force in April 1940 and trained as an Air Observer. He served with with 37 Sqn, which initially flew Wellington bombers and then later switched to fly Consolidated Liberator IV aircraft in a maritime reconnaissance role. 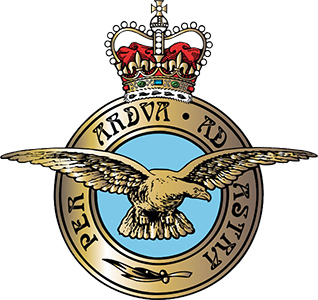 From 2nd December 1943 to October 1945, 37 Sqn were based at Tottorella in Italy. Charles’s aircraft went missing on patrol over the Mediterranean Sea on 3rd April 1945 and all on board were reported killed. He was 23 years of age. 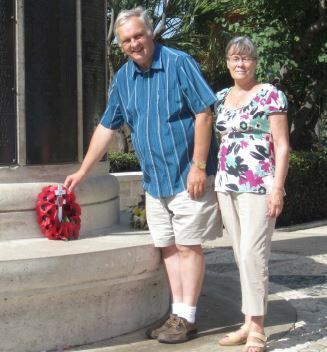 1165202 Warrant Officer Charles Raymond Jarratt, Royal Air Force VR has no known grave and is commemorated on the Malta Air Memorial, Valetta, Malta. He is remembered in Thame on the Lord Williams’s School memorial board. He is also remembered on the war memorial at Watlington, Oxon.